Constructionism has become a suitcase word. If we are to continue using the word we need to tidy up the suitcase because different sorts of fuzziness have crept in. So, what is in the suitcase, what should stay in and what should be taken out? Or is the word fuzzy by nature? One problem is religious aura or grandiosity. Constructionism is asserted to be the answer to all our problems regarding learning. It is allegedly superior to all other learning theories. In this context the only other learning theory that obtains a mention is Instructionism. School we are told is beyond the pale because it only uses Instructionism and that is bad. The reality is that learning theory is complicated, there are many learning theories, no learning theory that can clearly claim general superiority and schools to varying degrees do experiment and trial different approaches, albeit imperfectly. Certainly, there is a perfectly legitimate feeling out there that School ought to change in fundamental ways, to become less didactic and more “child centred” (for want of a better phrase). My request here is that that discussion ought to be nuanced and concrete rather than dogmatic and religious. One possible response to this problem is to attempt to define constructionism. However, such a response on its own will not suffice. Definition is only one narrow and fragile pathway to knowing. It's more fruitful to design a constructionist learning environment than to attempt to define one. Does the OLPC represent such a design? Will constructionism just happen by sending out OLPCs to children as though it is somehow embedded in the hardware and software of the machine? I don't think so. If constructionism is defined simplistically as learning by making and doing then such an approach might seem adequate. To paraphrase:“Get rid of boring teachers who just want to lecture all day and put learning machines into the hands of children so that they can do and make interesting things”. In my opinion this sort of thinking just replaces one caricature (instructionism) with another (technocentrism). The idea that a great learning machine, which the OLPC certainly is, will solve all educational problems is just as flawed as the idea that a teacher continually broadcasting from the front of the room will solve all problems. Perhaps everyone realises that but we then return to the problem of the inadequacy of then throwing in the word “constructionism” as a semi magical ingredient. Beyond learning by making and doing there are other items in the constructionist suitcase which might be worth spelling out, not to be overly prescriptive but to broaden the discussion beyond its current over simplified parameters. One important thing is that the intellectual development of children is astonishing and that adults have collective amnesia about that development which they themselves have passed through. I think the key thing in this story about counting pebbles is the word "astonished" in the above quote. I have no personal recollection of being astonished by discovering the law of conservation of pebble number. And yet experiments with young children show that before a certain age this is something they (meaning all of us) don't know. At some stage in our personal development we learnt this, internalised it and then forgot that we learnt it - and can't recall any sense of astonishment or not knowing something which as adults, seems to us to be common sense. When it comes to understanding child development this sense of astonishment needs to be applied to all things. It took a Piaget to realise that to understand children adults have to systematical fight their collective amnesia about the drama of being a child. 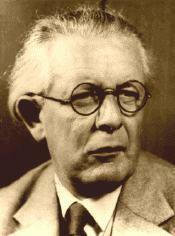 Understanding Piaget's phrase “genetic epistemology” can help too. Knowledge itself evolves, not only the uptake of it by children. In practice or as a research agenda this would mean exploring the deep structure of knowledge. For example, when Idit Harel and Seymour Papert investigated primary childrens' understanding of fractions they focused on transformations between pictorial, word and symbolic representations of fractions. They then asked the children to design and make computer screens using logo programming to make their own fraction problems for younger children to solve in a cross age tutoring context. Taken altogether this dynamic learning environment represents the ISDP (Instructional Software Design Project), one possible constructionist environment. The learners were consciously engaged in constructing a useful public entity over an extended time frame. The fraction explorations continued for four whole months. One thing we know about conventional School textbook methods of teaching fractions is that often students can get the correct answer but don't grasp the deeper meaning of what a fraction is. For instance, in Idit Harel's study one of the students (“Debbie”) was asked to draw a fraction. She drew a circle and shaded one side of it. When asked to identify the fraction she pointed to the right shaded side of the circle. When asked if the unshaded part of the circle was a fraction, she said, “No. It's not a fraction. It's nothing”. To transform from rigid understanding to flexible understanding and to achieve meta cognition (thinking about ones own thinking) and meta conceptual development (thinking about ones own knowledge and understanding of concepts) requires the sort of learning environment described above. Does this help tidy up the constructionist suitcase or does it remain still too full or fuzzy? Certainly, I have only scratched the surface of a complex topic. The author, Bill Kerr, teaches at Woodville High School in Adelaide, Australia. You can dowload Bill's original article in open document format complete with references here. Your article definitely sounds interesting, and it fits what I experienced when I helped (a bit younger) pupils with maths. One couldn't say, how "x^2 + x" looks, because she couldn't just imagine and add them. Another one couldn't construct a square from triangles, and so couldn't imagine how to calculate the content of a triangle. He had learned from a teacher, that he should only look at the numbers and avoid trying to draw stuff. In both cases they quickly grasped the concept when we drew the shapes together, and when they found the way, I was as delighted as they were, if not even more :) . Way to go, Bill. This is the conversation we need. We can't just start using a word with no explanation, and in the case of human learning, we can't even start just with a word and a definition. We have to show people how to get the experiences that make up various parts of the meaning. There is no substitute for talking with young children and seeing how differently each one views the world at different ages and with different experiences, and then helping them to a new understanding of some part of it. After that, the theory starts to make sense, and we can talk effectively about how to apply it and how to create more of it. At last - some intelligent discussion of constructionism, even rooted in experience! Just what should have happened at or before the start of the OLPC project. It's obvious that the whole question is very big and has a lot of facets - and lends itself to observation and experimentation. OLPC's official line was that this work has all been done and that they don't need to discuss it. Is this still their position? I've heard nothing that would indicate otherwise. Constructivism is based on several scientific findings about children's learning that were missing when instructionism was created. These are that children have great natural abilities to learn and also great motivation, and that much learning takes place through activities and through collaboration. Constructivism is essential for solving the problem of education in the developing world. That is because, for various reasons there will never be remotely enough teachers to carry out instructivism. What is needed is an approach to eduction that makes it possible to have some real learning with less teacher attention or none at all, and this is what constructivism makes possible. Thanks Bill. A well written article which sheds light on constructionism. In the 3 examples, exactly what was the role of scaffolding? What exactly is the role of the teacher? Can she just give the task at the beginning or is continual guidance from the side required? I think a deeper understanding of the role of the teacher is crucial in really understanding constructionism. A teacher could pick up the bare bones provided in these 3 cases and turn these tasks into anything. What do the 3 examples share that makes them constructionist? What are the common features that lead to good learning? A deep understanding of the content. I think part of it is that in constructing a new representation of a subject, you have to understand it at a deep level. This is more than learning by doing, it is about taking in information in one representation, and building up an understanding or mental model of sufficient complexity and internal consistency that you can build a completely different representation for public display. In the Kay (2) example of guided discovery of falling objects, there is perhaps more emphasis on the discovery than the creation. In the Harel (1) example, there is more of the creation of a new representation of the subject than discovery of it. Which gives the deeper understanding, discovery or re-representation? What is the role if reflection, I think that guided reflection is very important in the Kay example. In the game making example (3), there are elements of discovery and creation but what is discovered and created is largely outside the control of the teacher. When will quality learning result? How can reflection be encouraged? The role of a collaborative social setting is central in providing a ZPD. Is it better in multi age and ability and mixed gender groups? What is the role of the teacher in facilitating collaboration? Should it be mixed with instruction on the more complex language constructs? As one teacher has done, can students be given broken games to fix as scaffolding which leads to self directed creation? When the teacher is removed, as in the OLPC model, which of the 3 examples is sustainable? Can the community be guided through online scaffolding, such as in the Scratch upload site? Why do disadvantaged students need more scaffolding (instruction)? Does this hold equally in all 3 examples ? To what extent does the provision of scaffolding undermine constructionism? I think what you say has truth but needs to be thought through a bit more. So, Negroponte's stated (and much criticised) idea of levering the children to speed things up in developing countries is a good one IMO but there are still many other very important things that children still need considerable guidance to achieve. Well designed constructionist environments have both adult and child input and goes beyond just the technology. I don't see constructionism as another form of open ended discovery learning. The best discoveries by the greatest minds in human history cannot just be spontaneously rediscovered by the rest of us - so the scaffolding required for each of those discoveries becomes an important question. Tony: Can she just give the task at the beginning or is continual guidance from the side required? reply: A good constructionist *environment* enables the teacher to progressively step down from the stage and increasingly become the guide on the side. I see elements of the environment encouraging the children to step forward on the path of becoming independent learners of advanced ideas. This comes through very strongly in the teachers attitude of encouraging this stepping forward when it happens. A simple example: my students know that they can come to the front, demand the markers from me and write on the white board, if they have a good idea. A lot of hard thinking is required as to when to intervene, how to intervene and when to get out of the way and let the learners go for it. There is no formula but having some sparky kids in the class to begin with helps a lot. reply: I think I disagree with you here. Galileo's insights into falling objects is historically famous I don't think it follows that it becomes more important in child development than something that is regarded more as "common sense" by adults. reply: I only mentioned briefly at the end of my article, about achieving "meta cognition (thinking about ones own thinking) and meta conceptual development (thinking about ones own knowledge and understanding of concepts)". I think the teacher needs to have this attitude all the time, that meta-learning is a major goal and this is a major determiner of the quality of the teacher interventions. It's hard thinking work to find a pathway to encourage your students to become epistemologists in their own right. I'll take a breather here Tony and come back to some of your other questions later. Thanks. "What do the 3 examples share that makes them constructionist? What are the common features that lead to good learning? A deep understanding of the content. I think part of it is that in constructing a new representation of a subject, you have to understand it at a deep level. This is more than learning by doing, it is about taking in information in one representation, and building up an understanding or mental model of sufficient complexity and internal consistency that you can build a completely different representation for public display." There are visual, auditory, spatial, and tactile learning styles. Ideally, all are addressed by the facilitator to promote that deep understanding. I agree with your points. Constructivism with teachers can accomplish all sorts of important things that constructivism without teachers can't. However, the problem in the developing world is that for probably a majority of students there either are no teachers available, or they are available only a few hours a day. And furthermore, there is no real hope of changing this in the foreseeable future. In both those situations, it is not that constructivism can do as well as if there was enough teacher attention. Rather, I am saying that by taking a constructivist approach that makes use of the XO, children can still learn a lot, and much more than if they simply stuck with instructionism, including instructionism that includes laptops. So no, it is not a perfect solution, but is a far better one than any other approach that might actually work. "With regard to the OLPC it's important to counter utopian ideas about how well it will work because otherwise many of those who are so enthusiastic about it may at some point begin to "lose faith" and give up all together. That would be a bad outcome because for all this the OLPC *does* have great potential. So we should do all we can to maintain a high level of enthusiasm - but it should be realistic enthusiasm. There is no way that it can be implemented perfectly ...... the resources just are not there. But it would be a disaster if people became demoralised and gave up when they found that for large numbers of kids it was not "the answer". My view is that it will (or has the potential) to have a significant "hit rate" all the same. Even if it worked for only around 10% of kids that would be an *enormous* breakthrough. There would be a trickle down (up?) impact as well. Those kids would affect other kids as well as growing into adults who can make a difference. Back to the OLPC - this is for the most disadvantaged and oppressed kids in the world.Billions of them. A whole new ball game. I am fairly convinced that the "hit rate" will be lower than those of the constructionist religion will be happy with. But we should emphasise the social and educational impact of it as an *overall* project.... a percolating effect rather than a sudden explosion of mass constructionism. I think your article skims the surface a bit and would be somewhat more interesting if you didn't devote so much of it to describing constructionism and instead talked more about the real world problem(s) of mass education ... the urgency of making a difference in whatever way works ....and the need to realise from the start that there will be disappointments ... and that success may come in surprising ways." My article was really intended to elaborate a little on the meaning of constructionism, not so much deal with all the complex issues surrounding the OLPC. I think there is a place for that, to make some attempt to deal with the complexity, one piece at a time. and the role of "fun" in learning. I think learning often benefits from sensitive role of creative teachers who help structure the learning. since the OLPC/XO is going into some under-resourced environments, I would want to suggest that instruction can also be distributed to some extent - and that well written tutorials, clear examples, etc can still "instruct", from a distance as it were. Potential of excellent manuals etc on the machines should not be underestimated. I am working on Nepal's pilots with teachers that have almost no background in child-centered learning or constructionist learning. This is very much the under-resourced environment that Eduardo mentions. We can't change the system over night, we have to work with the education system that we have. We could work w/ private schools who have sent their teachers to prestigious graduate schools of education but what would be the point? It will be a gradual process to change the teachers role in the classroom from instructor to facilitator. The first steps are to create a space for sharing lesson plans and developing activities for those subjects in highest demand in the developing world: English, Maths, and science. Teachers in the developing world will adapt constructionism if they can plainly see it substantively improves the quality of learning for their kids, not just because some western educators or teachers from elite private schools in their own country tell them too. The vast majority of Nepali teachers really care about education. If they didn't, they would have emigrated Nepal for higher paying jobs. They care about their craft and that is how we can motivate them. "The Digital Doorway project aims to promote computer and information literacy in South African communities that lack ready access to computers. The project makes robust computer terminals accessible to people in areas they visit frequently rather than the formal setting of a classroom, encouraging experimentation. Content, focussing mainly on mathematics, science and technology, and health, is uploaded remotely onto the computers that are monitored by local ‘champions.’ "